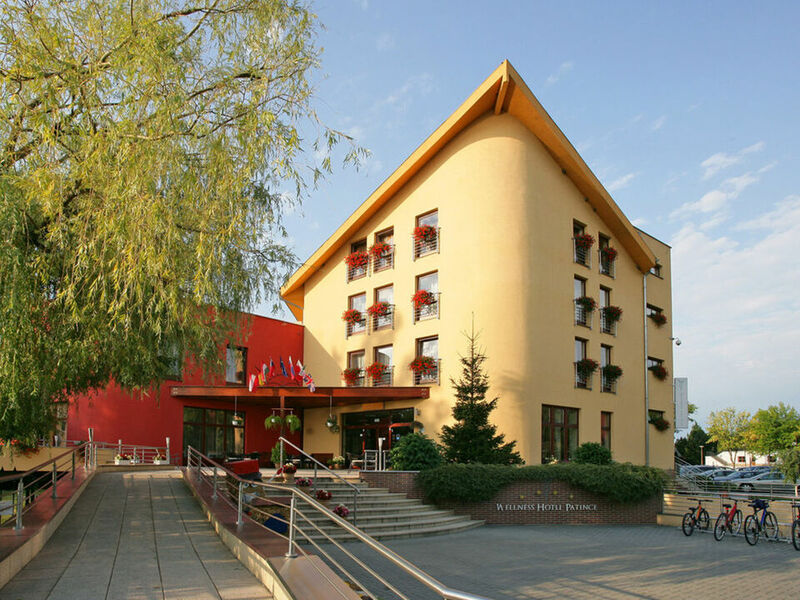 Within 15 km from Komárno next to the Danube River, this hotel is situated in the spa resort of Patince. It offers air-conditioned rooms with minibars, safes and free Wi-Fi. The spacious rooms are luxuriously decorated and have parquet floors. Bathrobes are provided. Close to the Hungarian border, Wellness Hotel Patince features an outdoor swimming pool with a children's playground, a sports ground and a beach volleyball court. Guests of the Wellness Hotel can benefit from free admission to the Water World with a complex of pools with water from the 27 °C-warm thermal spring Hévíz. Aqua aerobics or Pilates courses are offered on some days. The sauna world features 2 Finnish saunas, an herbal aromatic sauna and a hot tub with mineral water. The sauna world and the fitness centre can also be accessed free of charge. Wellness Hotel Patince provides free private parking on the hotel's parking area, which is monitored by a camera system. 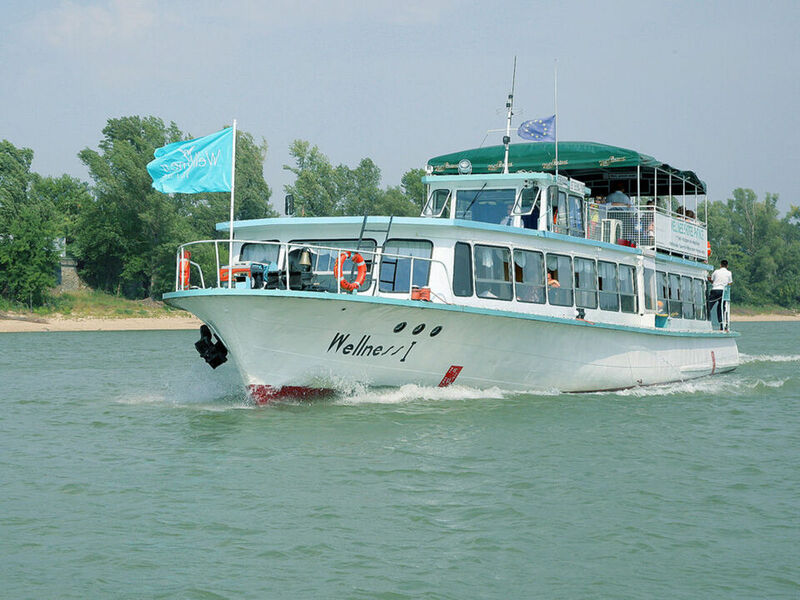 Although The Danube Region is not one of the large regions, it offers a number of thermal springs to its residents and tourists. Here we can find a trio of recreational swimming pools with interesting and healing thermal springs. Swimming pools in Komárno, Štúrovo and Wellness and Summer Thermal Spa Patince all help people improve their health. A relaxing experience is what you will find at Patince’s wellness hotel and pools. The thermal water found at the southernmost community in Slovakia acts upon the entire body. A valuable technical monument – the steam repumping station exists between the communes Patince and Virt, not far away from the mouth of the river Stará Žitava in the south of Slovakia close to the Slovak-Hungarian frontier. Featuring an on-site restaurant and wellness facilities, Mlyn Penzion & Wellness is set in Radvaň nad Dunajom. Its modern-style accommodation features a patio with a view to Danube River. Free Wi-Fi is provided. Sedliacka čarda is located between Komárno and Štúrov on the bank of the Danube, in the village Radvaň nad Dunajom. The simply and modestly furnished guest rooms, the traditional tastes of our dishes depict the tastes, the way of life and the habits of the people who live here. It was the Romans who built at Iža the first fort on the left bank of the Danube. Celemantia is the largest and most fabled reminder of Roman times in Slovakia. Set in Komárno, Guest House Meat Heads Pub is 1.7 km from Fortress of Komarno. Boasting a children's playground, this property is situated near attractions such as Courtyard of Europe. The property features a restaurant. All rooms include a private bathroom. The Fortress of Komárno, in the south of Slovakia, is the largest and the most important memorial of this kind in Slovakia. With its size and the degree of preservation it is unique in Europe. As a matter of fact there have been efforts to enlist it into the heritage of the UNESCO. The town of Komárno, which lies on the banks of the Danube on the border with Hungary, and its surroundings are full of historic monuments and attractions. 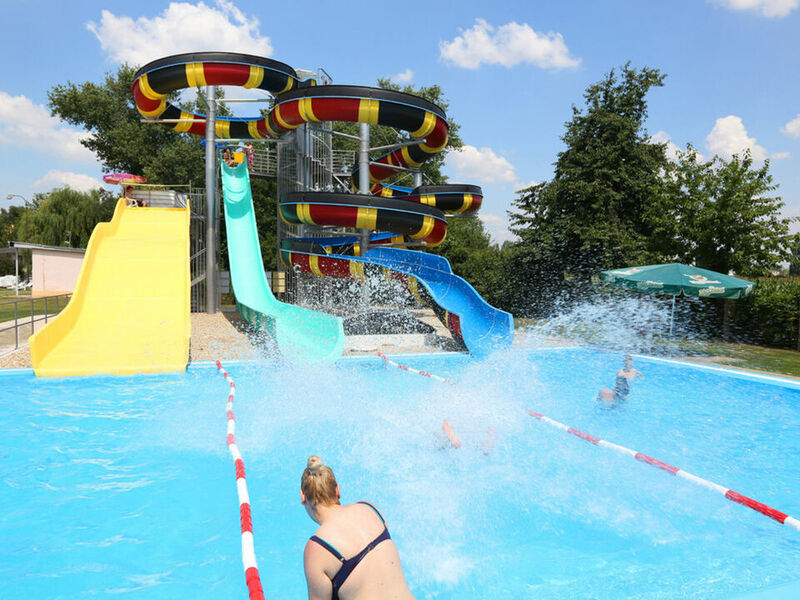 The Komárno Thermal Swimming-pool lies in the centre of the town and is packed full of water attractions and opportunities for having fun and relaxing. The Courtyard of Europe is the name for the unique architectural work of the architects from the Atelier Europe in Komárno. The buildings in the new square with a surface of 6,500 m2 are stylistically designed and they represent historical architecture typical for particular parts of Europe. The town Hurbanovo is notorious not only for the locally produced beer Zlatý bažant, but above all for the oldest Slovak observatory, history of which initiated in 1871. The boat mill in Kolárovo in the south-west of Slovakia is the last existing specimen of the floating mill and the only boat mill in Slovakia. The mill houses the Boat Miller's Museum. The wooden bridge in Kolárovo is the longest bridge built all from wood in Europe. Gert Hofmann: Starosta Brilantná tragikomédia z pera uznávaného nemeckého dramatika Gerta Hofmanna sa po dlhej odmlke konečne dostáva na slovenské javiská! Máte už aj vy dosť nedocenenosti a ponižovania v práci? Vaše ambície sú väčšie, ako vaša skutočná situácia? Príbeh Otinka Molla vám ukáže ako sa môže z malého človiečika, ktorý tridsať rokov bez povšimnutia drie ako kôň, stať veľká ryba. Hoci aj starosta. Nadišiel čas, aby sme vám predstavili sľúbený program, ktorý pre vás pripravujeme viac ako pol roka. Pevne veríme, že sa budete tešiť rovnako ako my, pretože v máji na zimnom štadióne v Nových Zámkoch vystúpia dve najväčšie slovenské rockové legendy - HORKÝŽE SLÍŽE a INÉ KAFE. Chceme si zaspomínať na naše detské a mladé časy, kedy vznikali ich prvé albumy. BASEMENT FESTIVAL 2019 ➤ DÁTUM A MIESTO/DATE & PLACE 18.7. - 20.7.2018 (3 noci/nights) Pevnosť/Fort Komarno, Slovakia ➤ VSTUPENKY/TICKETS – od 22 EUR (cena sa zvyšuje) Basement Festival v jedinečnom priestore pevnosti Komárno prichádza s tretím ročníkom a máme pre vás ešte multižánrovejší koncept.